Timothy Wells and Christine Sevilla’s love was inspiring. Married for almost twenty years, the husband and wife passionately adored each other. Friends, family, and acquaintances all wished to have a relationship as solid as that of Tim and Christine. 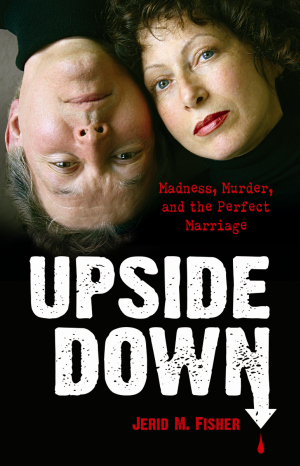 There was no sign that their marriage was anything less than ideal—until the day Wells brutally murdered his wife. This deep, disturbing exploration of the psyche of Timothy Wells is not a whodunit but a “whydunit.” Written with Wells’s cooperation, this riveting account thoroughly presents the circumstances leading up to Sevilla’s murder. It features interviews and letters from the Wells and Sevilla families as well as testimony from friends, neighbors, and ex-spouses. Trapped inside his own mind, Wells’ emotional insecurities left him with no escape from his severe depression and swiftly multiplying anxieties. In chilling detail, this true narrative traces the path of a man doomed by his own inner demons. Dr. Jerid M. Fisher earned his bachelor’s degree from Duke University and his PhD in clinical psychology from the University of Rochester. A successful entrepreneur and forensic neuropsychologist, Fisher has worked as an expert for many criminal cases involving murderers and serial killers. He resides near Rochester, New York. This was very good! I am from the area and have always wondered about the case. This explained so much and was very well written! I recommend the book highly! Fisher's Upside Down: A great read!